Sam Lowes has cruised to his third Moto2 pole position of the 2016 season, taking the top spot from Takaaki Nakagami in Mugello after controlling the session from the front. 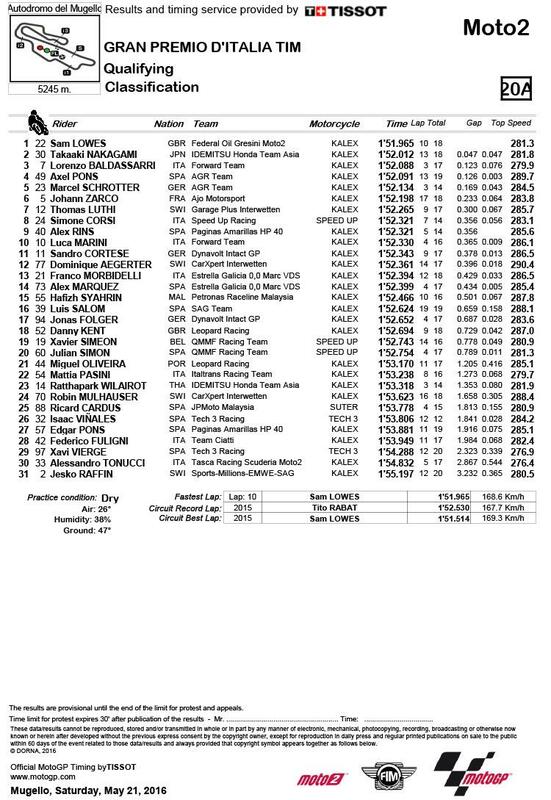 Lowes finished 0.047 ahead of the Japanese rider at the end, but remains confident for tomorrow after demonstrating impressive race pace at the Italian circuit. Lorenzo Baldassarri rounded out the front row, with the VR46 Academy rider helping complete a special Sunday for mentor Valentino Rossi, whose own half brother Luca Marini also managed a personal best tenth. Axel Pons was a surprise appearance leading row two in fourth, ahead of Marcel Scrotter and reigning world champion Johann Zarco. Thomas Luthi was seventh, ahead of Simone Corsi and championship leader Alex Rins, who has struggled this weekend. 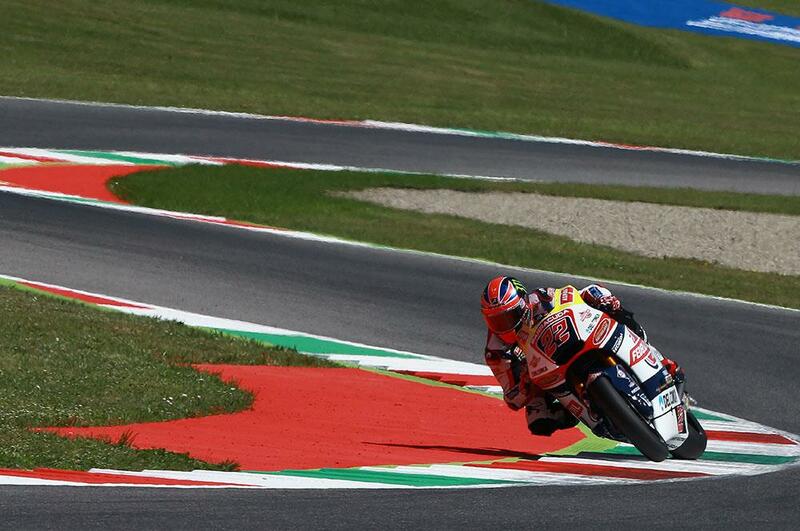 British Moto3 world champion Danny Kent had a disappointing day, battling illness to finish the day back in 18th.